Romeo and Juliet is a ballet. The music was written by Sergei Prokofiev. 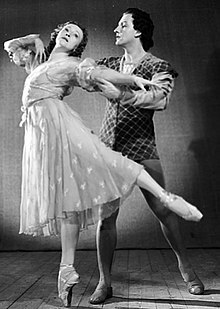 The ballet is based on Shakespeare's play, Romeo and Juliet. The ballet was first performed in Brno (now in the Czech Republic) in 1938. It has been re-choreographed many times, notably by Sir Frederick Ashton in 1955, John Cranko in 1962, Kenneth MacMillan in 1965, and Rudolph Nureyev in 1977. This page was last changed on 21 September 2013, at 16:53.